Your basement is designed to provide you with additional space below your living quarters. 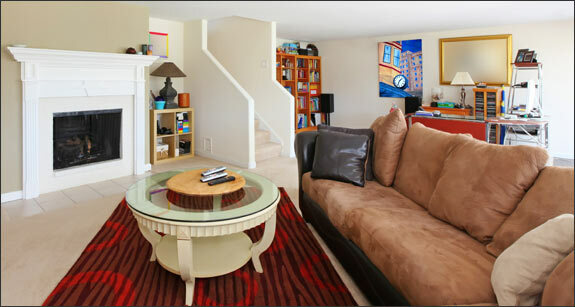 They can become cluttered and unorganized over time, whether your basement is finished or not. A basement organizer can get you back on track, help you locate things easier and potentially use your basement more efficiently - such as for a workout space, a home office, or a playroom! 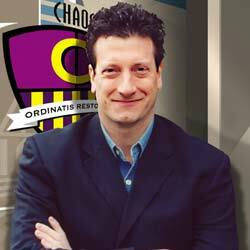 Plus, the home organizing experts at Chaos Commandos do it all for you! “You will be challenged to find another person with Rob's skill sets. Think about all of the things currently in your basement. Do you have enough room to walk through the entire length of the basement? Can you even make it down the stairs? With a basement organizer, we can ensure that everything is given a home - and even help you weed out the things that don't belong in the basement. We have seen clients, friends, and family members lose valuable family keepsakes from water damage because their basement wasn't properly organized. Think of the photos, valuable artwork, business papers, books, etc., that could be damaged, or lost forever because a basement isn't organized. This is not a difficult or expensive fix, and our Basements Organizer can show you exactly how to protect these cherished and valued items. Through our basement organizing service, we have worked with homeowners from the New York City, Westchester, and Fairfield county areas. Many have discovered things in their basement that they didn't even realize they still owned. We will help you to sort through it all, having you place piles of things you wish to keep and things you wish to get rid of. You may have enough things to get rid of that you can have a yard sale and even make some extra cash from it all! 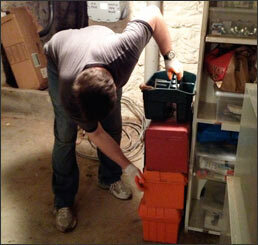 Our professional basement organizers have the ability and training to see into your basement for its real potential. We can then help you understand how important it is to have an organized basement so you can keep it that way for years to come. A fully functional basement is going to be much better than what you have now. With storage for everything and the ability to find what you need in seconds, it will become second nature for you to keep the area clean and organized. We take the time to get to know you and your home. This allows us to create a customized solution for your basement. We know that the solution we come up with isn't going to stick unless it's created around you and your family's needs. We will learn about what you currently use your basement for and what you would like to use it for. This will make it easier for us to figure out the right solution and get started. Depending upon how large your basement is, there may be room for various things to take place. You may have room for a play area as well as a guest room. If it is a finished basement, you may find that it is possible to start entertaining down there - once you have taken advantage of professional basement organizers. 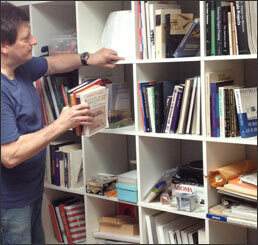 A basement organizing service is just what you need to enhance the space you have below. We will use a variety of shelving and drawer systems, work with the closet space you already have and make things a lot more functional for you. All of the materials we use are high-quality and designed to last - even with repeated use. Regardless of whether the basement space is for you or for the kids, we can create a design that fits your needs - and this is because we customize the space based upon what you actually need. Think about how much easier it will be if you can take advantage of more space in your home. There may be other rooms in your house suffering because of an unorganized basement. Once your basement is taken care of, there may be more space throughout your linen and bedroom closets - and this is all because everything will have its own home. You may be able to utilize your basement for all sorts of things. It can become a home gym, a playroom for the kids, a spare bedroom or all of these things. 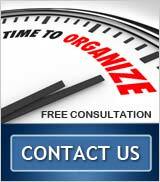 Let our organizers show you that there is a better way of organizing the space. Even if you have tried to organize the basement in the past and failed, there is a way to get it to where you want it to be and keep it organized year after year. Forget about trying to organize your basement on your own. If you could have, you would have by now. Sometimes all it takes is meeting with a professional basement organizer that can help you look at the space in a new way. Professional basement organizers are not personally attached to your belongings, so it can be easier for them to tell you what needs to go and what should stay. If you don't have use of your basement because of too many things in the way, it's time you take back your basement. With organization throughout, you can free up a considerable amount of space and begin using your basement for fun things. By the time we are done organizing the area, you may finally have the room you have always wanted for a playroom for the kids, a spare bedroom for the in-laws or the highly sought after "man cave." When you are ready to start organizing your basement, it only takes one phone call. We will be happy to set up a free consultation at your home to discuss what we can do for you in terms of organization. Contact us at (914) 949-9742. Allow our professional organizers to work on your basement so you don't have to! Copyright 2013 Chaos Commandos All Rights Reserved - Art Licensed by Shutterstock.